TSEs are caused by a deadly protein called a prion (PREE-on). Prion disease is unstoppable. The pathogen spreads through the bodily fluids and cell tissue of its victims. Blood, saliva, mucus, milk, skin, urine and feces carry deadly prions from the victim. All tissue and all bodily fluids are infectious. A cough, sneeze or contaminated utensil can be lethal. Prions linger in the environment, homes, hospitals, nursing homes, dental offices, restaurants and many other places infinitely. They migrate, mutate, multiply and kill with unparalleled efficiency. Prions defy all attempts at sterilization and inactivation. Victims often become infectious long before they appear sick. Prions kill everything in their path—man or beast. Prions are highly infectious and the bodies of victims become highly infectious long before they look or feel sick. Blood, milk, meat, urine, saliva, mucus, feces and other bodily fluids of victims are contagious. According to research from Duke University, caregivers of someone with dementia are six times more likely to develop the condition themselves. It’s time to underscore the risks that caregivers must manage when caring for clients, friends and loved ones with dementia. In addition to protecting themselves, caregivers can minimize the chances of infecting others with deadly prions. 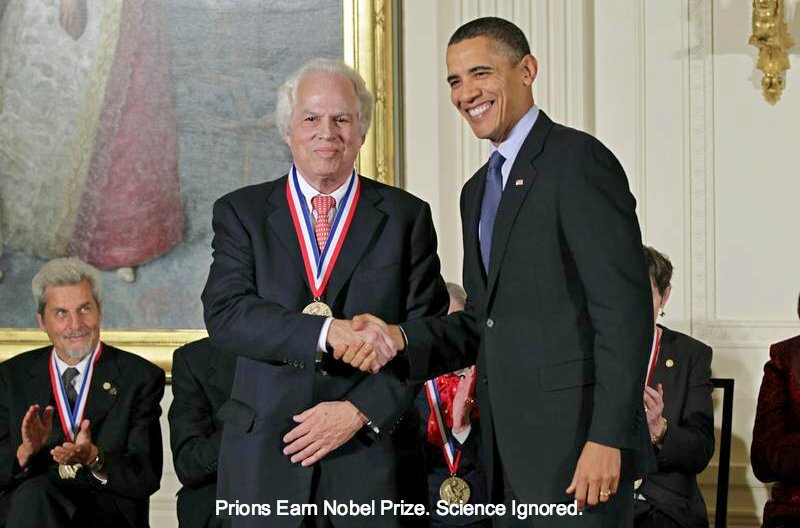 Even sophisticated healthcare systems have failed to grasp the severity of prion disease. Unfortunately, hospitals around the world have been sued for spreading Creutzfeldt-Jakob (CJD) to innocent patients. Most health care systems are still misinformed and under-informed about the dangers that CJD patients pose to others. Therefore, these care facilities are exposing others and contributing to a global mismanagement problem. Before you dismiss the prion threat as science fiction, call your local coroner. Most coroners refuse to touch the body of someone who likely died of CJD. They should be cautious with anyone who had any form of dementia upon death. All dementia patients and their bodies demand special handling and burial to avoid infecting others. Only a decade ago, the idea that Alzheimer’s disease might be transmissible between people would have been laughed away. But scientists have now shown that tissues can transmit symptoms of the disease between animals. A new study published in the journal Nature raises additional concern about the transmissibility of Alzheimer’s disease between people. Prion disease is a spectrum disease because of its many mutations and because some victims appear to have a genetic predisposition to resist the disease. Some prions can kill people within weeks of exhibiting clinical symptoms, while others can take years. Others may not fall victim to the disease, but can still carry the pathogen internally and externally. Victims become infectious long before they appear sick. Their bodily fluids proceed to contaminate the world around them. Since prion disease is a spectrum disease, doctors can’t tell the difference between Alzheimer’s disease and CJD. It’s a process of elimination and a shot in the dark. The only definitive diagnosis comes with an autopsy, which rarely happens with neurological disease (concerns over deadly contamination). All doctors are guessing with each diagnosis based on the severity of the symptoms. This problem also complicates the search for accurate statistics about the size and scope of the epidemic. 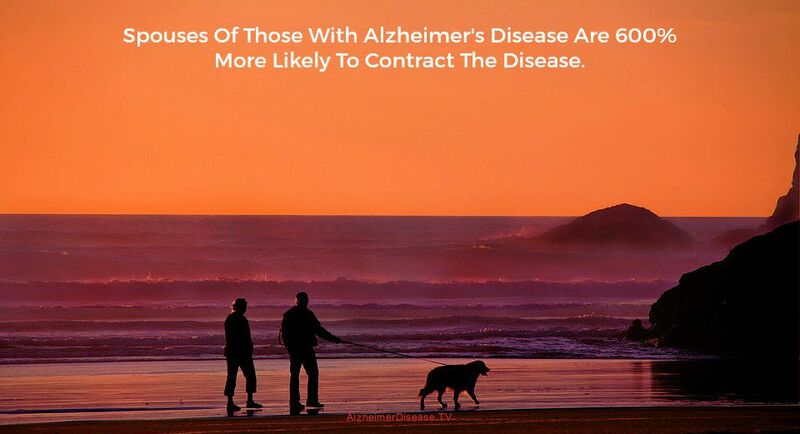 Alzheimer’s diagnoses are wrong at least 20 percent of the time. Unfortunately for caregivers and family members, the protocol for patient care and caregiver safety are vastly different for Alzheimer’s patients and CJD patients. The double standards put many stakeholders at risk. It’s reckless to try to distinguish between prion diseases on the spectrum. In other words, treat people with Alzheimer’s disease as though they have CJD. Assume the worst and hope for the best. A deadly prion is a deadly prion. Nearly 15 million caregivers in the US work with someone who has Alzheimer’s, and approximately 70 percent of Alzheimer’s patients are cared for by relatives and friends. Caring for a person with Alzheimer’s disease can have high physical, emotional, and financial costs. The demands of day-to-day care, changing family roles, and difficult decisions about placement in a care facility is challenging for everyone involved. Don’t be afraid to share your thoughts and experiences with others whom you trust. If you are likely to become a caregiver, you might need to explore options at work that will give you and others in your family some additional flexibility. Build a solid support network within your family and among your closest friends to help absorb the physical and emotional demands. Do you know people who are going through a similar experience? Becoming well informed about the disease is an important long-term strategy. Programs that teach families about Alzheimer’s are available online and in most communities. Some Alzheimer’s caregivers have found that participating in a support group is a critical lifeline. These support groups allow caregivers to find respite, express concerns, share experiences, get tips, and receive emotional comfort. There are a growing number of groups for people in the early stage of Alzheimer’s and their families. Support networks can be especially valuable when caregivers face the difficult decision of placing a loved one in a nursing home or assisted living environment. Be supportive. Talk to your friend/relative in the early stages of the disease about the type of care they want to receive in the later stages. Be practical. Although distressing, help your friend/relative manage legal issues such as power of attorney and a living will as quickly as possible. Once their competency passes, it might eliminate important options for family members. Find support for yourself. Join a support group and find all forms of community support available to you. You can’t afford to miss a step or get sick, so you are a priority. Be alert for their safety. Provide a quiet, unstressed environment. Make sure they drink lots of water. Many families are choosing to have their aging loved ones with Alzheimer’s disease move in with them. Others are moving in with their aging parents to let them stay in familiar environments. It’s happening in millions of homes around the world today. As Alzheimer’s disease progresses, loss of appetite and weight loss may become concerns. Add supplements between meals to add calories. In the later-stages of Alzheimer’s, weight loss can be a problem, so adding sugar to foods might help. Limit salt consumption to manage blood pressure. Use more spices and herbs to season food. Staying hydrated also can be a problem. Encourage small cups of water and other liquids throughout the day. Offer foods with high water content, such as fruit, vegetables, soup, ice cream and smoothies. Crossbow Communications specializes in issue management and public affairs. 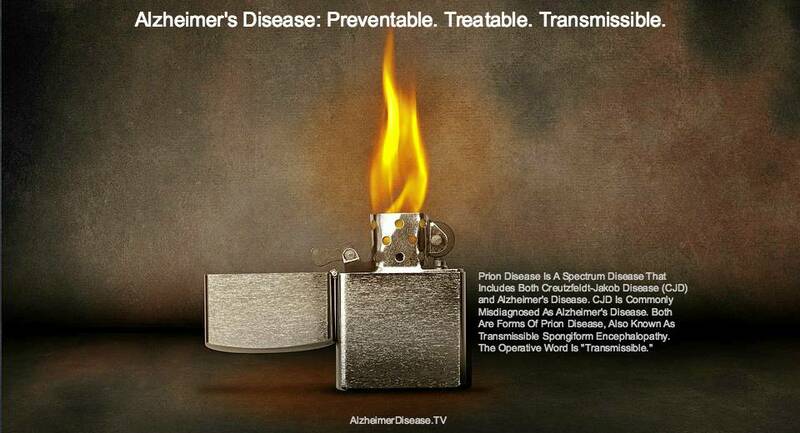 Alzheimer’s disease, Creutzfeldt-Jakob disease and the prion epidemic is one of our special areas of practice. Please contact Gary Chandler to join our coalition for reform gary@crossbow1.com.